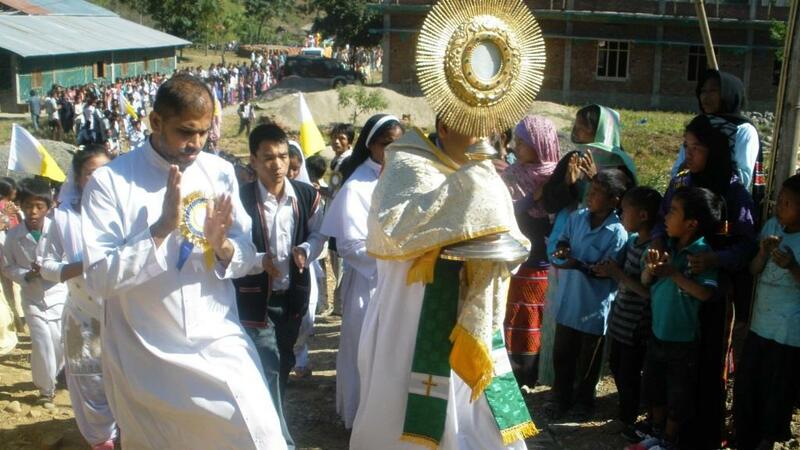 Miao: The well celebrated and participated Year of Faith came to a fitting conclusion on November 24th in all over the Diocese. The well celebrated Year of Faith came to a solemn conclusion on 24th November with Eucharistic Procession in all over the Diocese. Bishop George Pallipparambil SDB presided over the concluding day Eucharistic celebration in St. Joseph’s Parish, Tissa. The Holy Mass was preceded by a solemn Eucharistic procession, in which hundreds of people participated. Special Retreats were organized in Khonsa, Pongchao and Longding for the solemn conlusion of the Year of Faith.